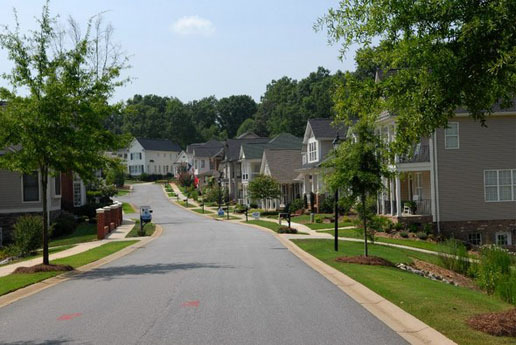 A graphic designer from the Marietta, South Carolina area contacted Randal in 2003 through this portfolio website and inquired about developing a streetscape illustration to be used in promoting a residential housing development. 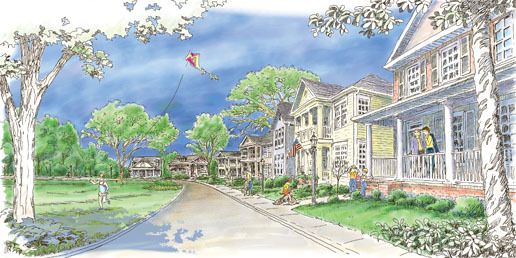 Randal worked with the designer and the photo resources provided by the developers and architects to create this illustration intended to communicate a lifestyle to prospective home buyers. The development was built, and here is a photo along one of the streets in 2010.